Each day in March I will post a prompt of some sort in this group. The prompt could be one word, it could be a material, technique or even a quote. The challenge? To use it in some manner in your art journal THAT DAY! 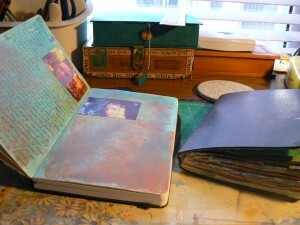 The idea behind this is to jump start daily art journaling. The goal is to art journal daily but not necessarily to finish a page or spread every day, just to open the journal and work. The challenges will be posted by their respective week in the discussions. So Week 1’s challenges will go into a discussion titled Week 1 and so on. You are free to discuss the challenges in the forum, post pics of your results and get ideas from wherever you can! Did you catch the FREE part? I dig free inspiration. And just in time. My new Moleskine needs to be filled with color. I’ve gotten a page started and am loving using my Polaroid Pogo Printer I got for Christmas. I took some really bad photos, before and after, from my latest salon experience. Next to my new Moleskine, you can see the full old Moleskine. It’s quite a bit chunkier once full. My favorite Moleskine journal is the sketchbook, although the watercolor notebook comes in 2nd. 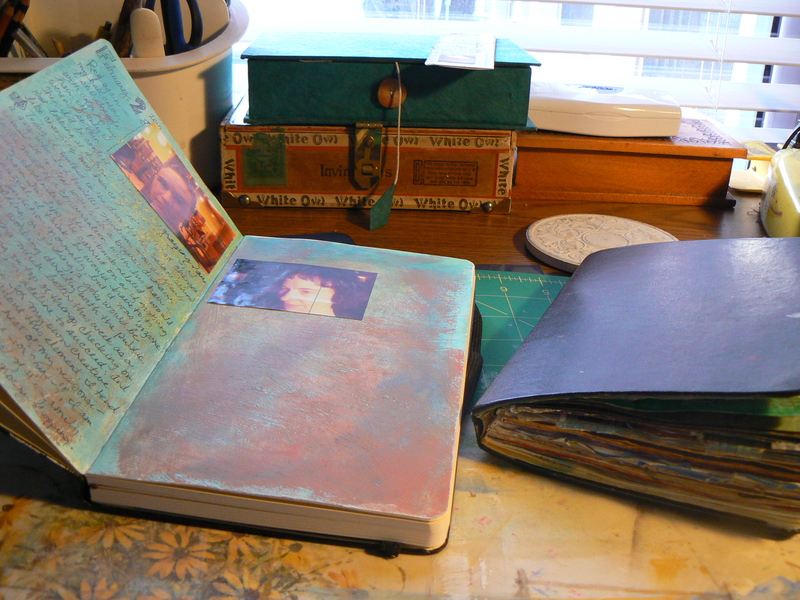 Since I write so much, I’ve found I prefer the sketchbook layout rather than the longer spread of the watercolor notebook, but I love the watercolor paper. 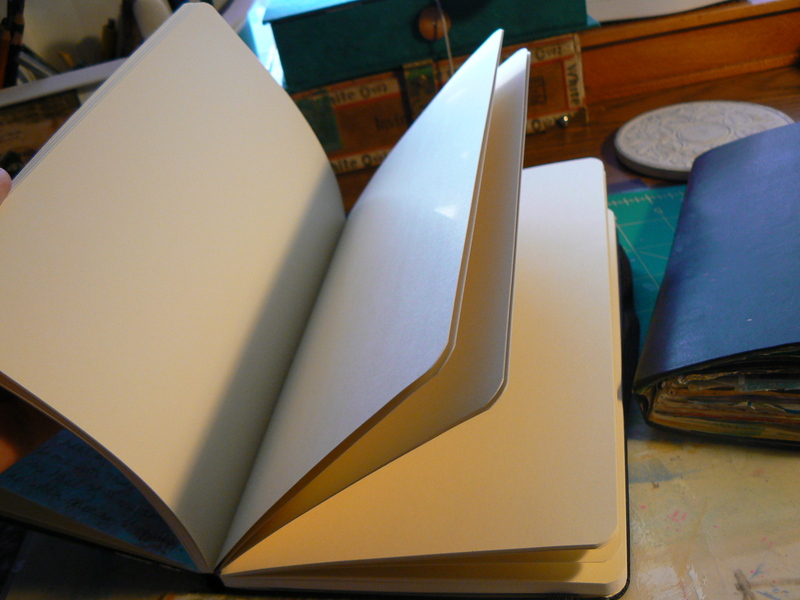 Next I just need to take the time to make my own custom journal, but one thing at a time. There is still time to enter the Clean Drawer Giveaway for a chance to win a Sweet & Chunky Ephemera Package. I’ll be drawing this Sunday! In the package will be a juicy mix of ephemera from old handwriting, to typewritten pages, to card, embroidery patterns, magazine articles. Yum. This is a great idea! I would love to do it! Oh, I do love a moleskine! What perfect journal … and even better when it’s bursting (literally!) with personality.